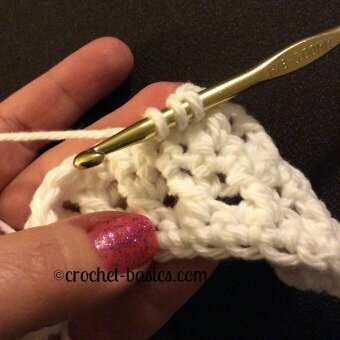 The crochet cable stitch and the crochet cross stitch are similar because they both require you to either work stitches in front of or behind other previously worked stitches. 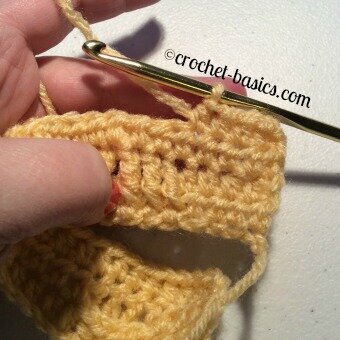 These stitches are for the more advanced crocheter, but don’t let that scare you off. 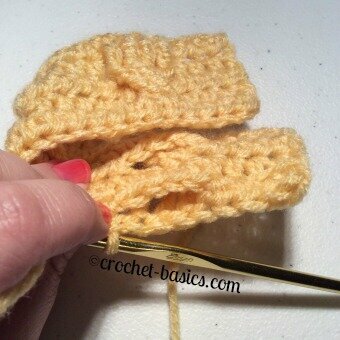 Once you get the hang of how these stitches work, you’ll want to use them all the time. 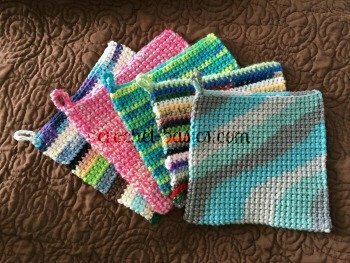 They can be created by using different stitches which will give you lots of variations to choose from. 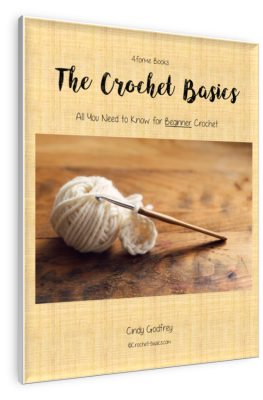 I’ll just cover the basics here to get you started and show you just how easy and fun they are to work. 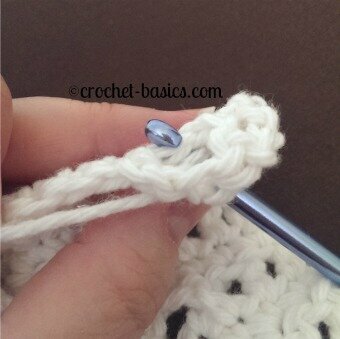 There are many, many ways to work the crochet cable stitch. 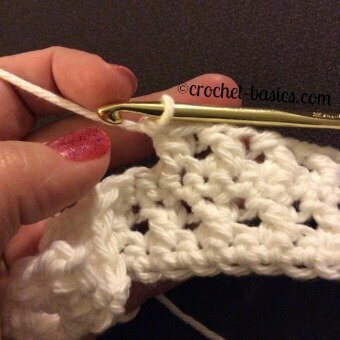 Some patterns have you work double crochet while others call for triple crochet. 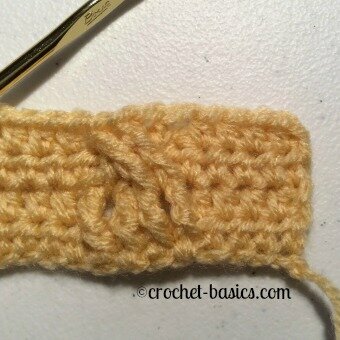 You may see some cable stitches have 2 stitches crossed and others will have 4 crossed. 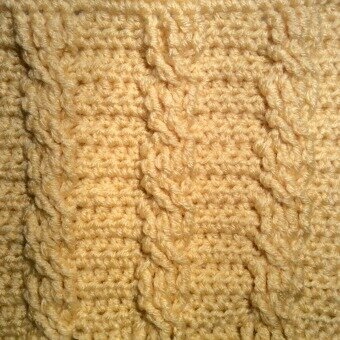 There are just lots of variations to this stitch. 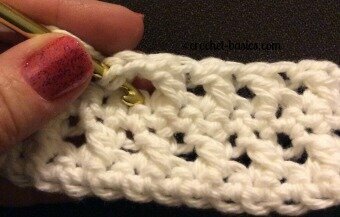 This is just one pattern that will get you started and give you some practice on the technique. 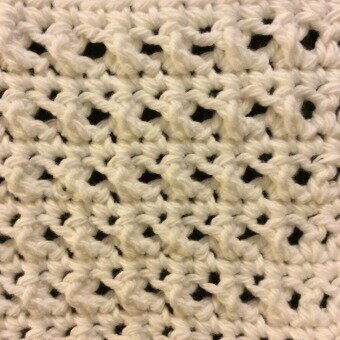 FPtr around the next 2 FPtr stitches of row 2.
hdc in the next 4 stitches. 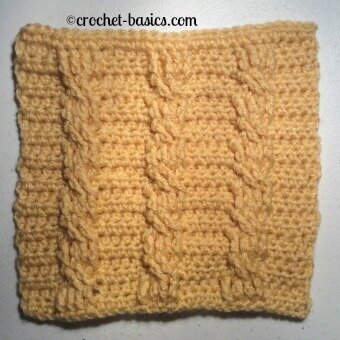 Repeat rows 2-5 for the pattern. 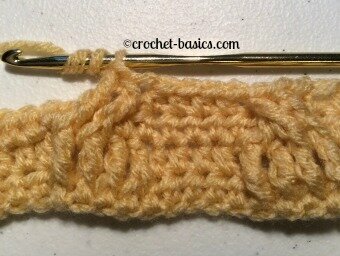 I tend to turn my work to the side just a bit when I'm working the FPtr stitches that cross over. It seems to make them easier to accomplish. 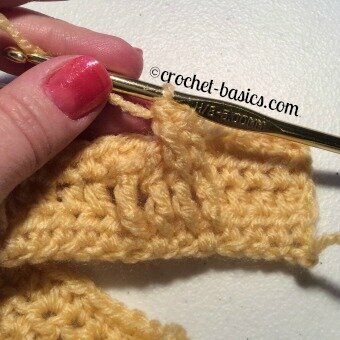 You'll notice that this stitch creates a little "pocket" on the back of your work. That is normal. You're doing it right! 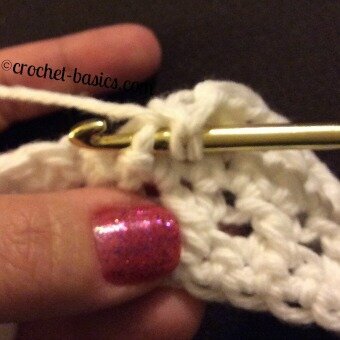 There are 2 ways that I know to work this stitch. There may be more that I don’t know of yet. I’ve learned 2 ways, though, and I’ll share them both here. 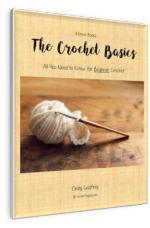 The first one I’ll walk you through is the way I first learned to do the crochet cross stitch. However, it is the more difficult of the 2. 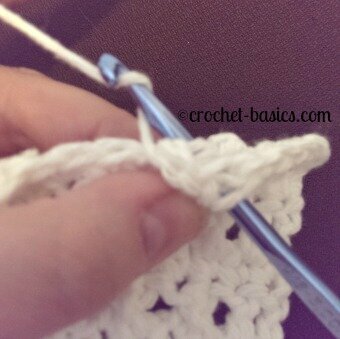 Even though it is harder, I still prefer that technique. I think the stitches look cleaner and sharper. But remember, that’s just my opinion. Some of my friends think I’m crazy for working the cross stitch that way. 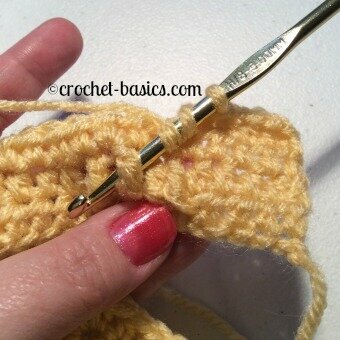 So please, don’t feel like you have to master the first technique to do the stitch correctly. Both ways are great and will give you a beautiful piece. Start with a foundation chain in a multiple of 2 +1 for. 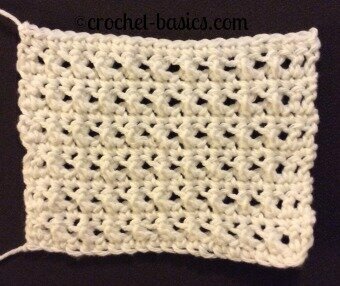 Your cross stitches tend to look better and stand out more when they are separated by a row of stitches. 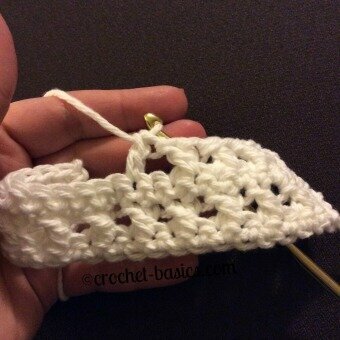 This is why my pattern has a row of sc in between the rows of cross stitches. 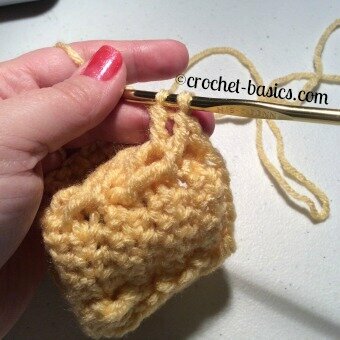 It will also keep all your cross stitches worked on the same side of the fabric. This is where the different techniques come in. 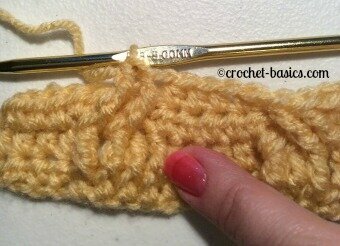 Leave Crochet Cable Stitch and try some Advanced Crochet Stitches.